Ian Kuhn was the latest winner of Susan’s Secret Sweets by guessing the correct amount of candy in the container at Jeffersonville Branch Library. Congratulations, Ian. The Jeffersonville Branch Library was the place to be for the Winter Olympic Games. Team Six (Grandma Karen, Kenley and Cali) won the biathlon where they had to run two laps and throw 10 snowballs at a target. Way to go Team Six. Participants of the games also enjoyed ice hockey, bobsleigh, the Olympic ring toss, sock skating and Olympic Jeopardy. 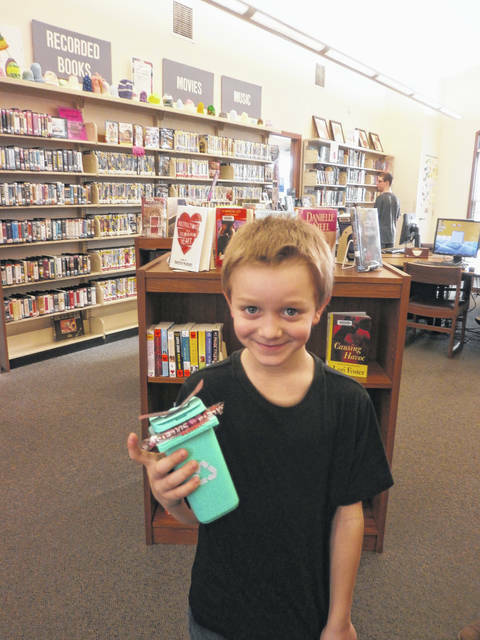 https://www.recordherald.com/wp-content/uploads/sites/27/2018/03/web1_ian-kuhn-wins-susan-secret-sweets.jpgIan Kuhn was the latest winner of Susan’s Secret Sweets by guessing the correct amount of candy in the container at Jeffersonville Branch Library. Congratulations, Ian. https://www.recordherald.com/wp-content/uploads/sites/27/2018/03/web1_003.jpgThe Jeffersonville Branch Library was the place to be for the Winter Olympic Games. Team Six (Grandma Karen, Kenley and Cali) won the biathlon where they had to run two laps and throw 10 snowballs at a target. Way to go Team Six. Participants of the games also enjoyed ice hockey, bobsleigh, the Olympic ring toss, sock skating and Olympic Jeopardy.